At some point in their career, it is safe to say that every financial advisor will have difficulty building a customer base. As a new financial advisor, you have tried everything to find the right clients. Whether you have tried building a customer foundation through referrals, cold-calls, marketing, or networking you still may not have found the clients you were hoping for. For advisors that are new to the industry, prospecting for new clients may seem like an unbearable task. But, to find their clients, financial advisors need to take action and spread the word about their service. 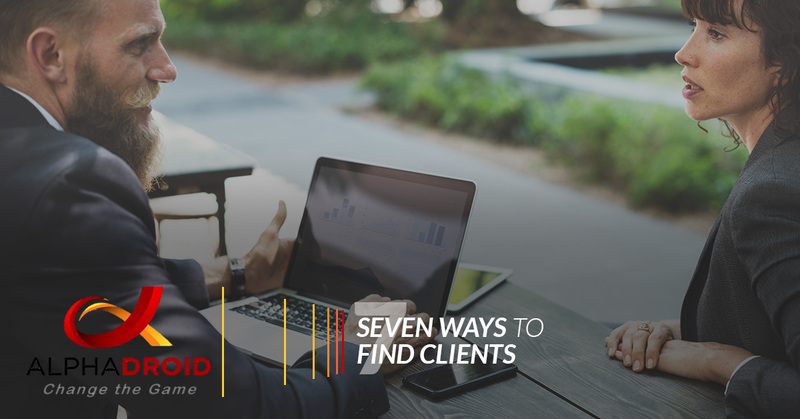 Let’s take a look at five simple ways to look for and find the first handful of clients for new financial planners. LinkedIn Account – This is the most beneficial site for networking with several targeted groups and prospective clients. Facebook Personal Account – Personal accounts can be used to educate an advisor’s network. This is a great platform for sharing beliefs, personal philosophies, and thoughts. Facebook Business Page – A business page is the perfect public hub for an advisors thoughts, activities, and writings. Business pages also serve as a great information source for clients. Twitter Account – Instead of networking with clients, advisors mostly use Twitter to connect with other advisor’s, journalists, and others in the financial industry. Launch emails are a great way for advisors to reach out to their inner circle. This can include friends, family, old and current coworkers, doctors, neighbors and whoever else is in their email address book. A good advisor will send a mass email to inform others on business updates, when and why they are launching a business, what sets them apart from other competition, etc. Launch emails are a great way to inform others about social accounts, a website, and even a newsletter sign up — In addition to being a great tool to land first clients, launch emails also are a great way to grow a newsletter list right from the get-go. While the use of social media and launch emails are very important marketing tools for advisors and their practice, traditional marketing strategies should not be overlooked as they can get a new business in front of potential clients. Local papers and journals are cost efficient and effective as they can target a more specific market. Surprisingly, cable advertising can be fairly affordable. Radio ads also have the ability to be targeted to specific demographics and open avenues to new clients. As mentioned earlier, social media is a great way for advisors to connect with people of the same profession. And, when it comes down to it, there are most likely more prospective clients than there are financial planners in a given area. In most cases, although planners are in the same area there is a good chance that they do not serve the same market. New advisors should connect with advisors, whether in person or through social media, in a nearby area as they may be able to refer you to clients that they cannot personally work with. One thing that advisors should do from the get-go is to identify their niche market. Advisors should consider the hobbies they enjoy, as well as the unique things they have experienced, to figure out what their natural target market should be. Having things in common with clients can help form stronger bonds and connections. Also, having a niche market will make it easier to integrate your business. Most of your family and friends will be excited for you and your new business and may talk about your services with others. It’s important to educate your friends and family on what you are trying to accomplish as an advisor that way they are sending the right people for your target your way. Once advisors begin to find their clients and their book starts to fill, it is important to their success that they hang on to them. However, the financial industry can be challenging and requires a lot of time-consuming tasks that do not allow advisors to develop and build strong relationships with their clients. AlphaDroid has a solution for advisors everywhere. Our asset allocation software was created to do the time-consuming work that is related to financial advising so that advisors can focus on their needs. Clients are more likely to refer their advisors to family, friends, and even coworkers if they meet their needs and develop strong relationships with them. Whether you work for a firm, bank, or are an independent advisor, let AlphaDroid’s effective financial management software take care of asset allocation and other time-consuming work, allowing you to have more time for your clients.